Every day home owners are realizing the benefits of converting to propane for use in their home for heating, appliances and hot water. 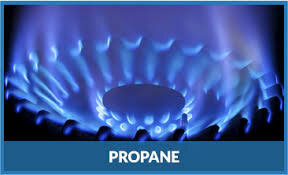 Propane is considered as an efficient way to heat your home, water and to run your appliances. There is a variety of benefits of converting to propane in your home. Safe – Propane is one of the safest fuels you can use in your home or business. It is non-toxic, lead-free, contains extremely low levels of Sulphur and has the lowest flammability range of all alternative fuels. However, proper handling and regular maintenance are key to ensure your safety. Easy to maintain – Keep your family cozy and your equipment running longer with clean-burning propane. Equipment that runs on propane requires less maintenance and typically has a longer lifespan. Versatile – Propane can be used for more than just heating – use it for cooking, heating your pool and garage, drying clothes and, of course, grilling on your BBQ. Plus, propane furnaces and boilers come in all shapes and sizes which allows more flexibility on placement in your utility space. Regular yearly servicing in your home or business will help maintain the efficiency and longevity of your propane unit, system or appliance.